The parish pastoral council is ultimately responsible for communications within the parish and between the parish and external bodies such as the pastoral area, the diocese, and so on. The council has delegated some of this responsibility to the communications team, a rather grand title for the few people who are struggling to improve the way we communicate. Much of the team’s effort has been directed at producing this web site which went on line in February 2010 with a mere half-dozen posts (pages). Now there are over 200 postsÂ with more to come. One way in which the parish communicates with parishioners is via the newsletters which you can see HERE. The first newsletters were produced quarterly by the communications team. The weekly newsletters now in use are produced by the parish office. 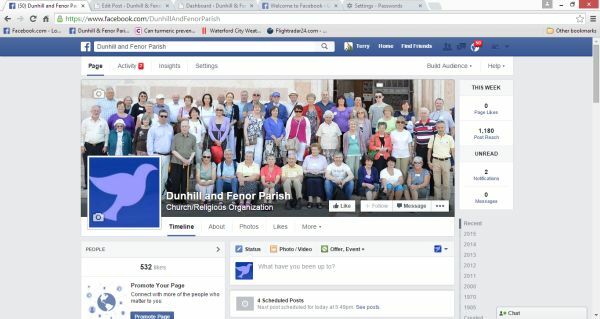 On 24th April 2011 we launched our Facebook “page” which you can see byÂ going toÂ https://www.facebook.com/DunhillAndFenorParish. Alternatively, you can do a search using a search facility such as Google or Bing with keywords such as “dunhill fenor facebook”. Parishioners who are unable to attend Saturday/Sunday Mass for whatever reason can “hear” Mass by tuning in to 107 FM on their radios. While this service has been available for many years, it has not been entirely successful. The transmission is necessarily of low power and many parishioners are unable to receive the signal because of obstructions such as hills, trees, other buildings, etc. There is also considerable interference from radio broadcast signals with frequencies close to 107 Mz. If you have a computer and an internet connection (broadband is best), you can see Mass celebrated in a number of churches using a free webcast service provided by Church Services.tv. You can read all about it HERE. 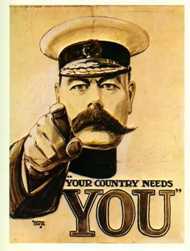 Your Comms Team needs you! This is all great stuff but we need help. We need to take on new members who will either assist with existing projects like Facebook or the web site, or will get stuck into new projects. New people have new ideas and may think of things that we haven’t thought of yet. They may have expertise that we don’t have. Maybe you would like to help out in some way. Whatever you can contribute, no matter how much or how little, we would welcome your presence on the team. Why not contact us about it? You can send an e-mail to the comms team or telephone the parish office. Contact details are on theÂ Parish Administration Contacts page. By sdr  Posted in Communications Team, Parish Teams	 Tagged The Communications Team - What do we do?